In 2010, Metro Jacksonville provided a photo tour of the shopping center that has been dubbed the "Heart and Soul of Ponte Vedra Beach." Since that time, the shopping center is in the middle of a massive transformation into a walkable retail, dining and entertainment district. Here's a look at where things stand today. 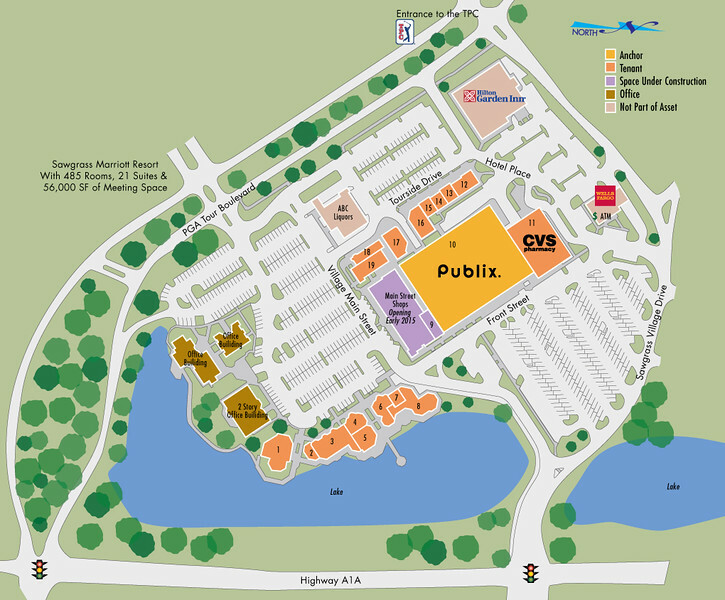 The Phase I redevelopment of Ponte Vedra's Sawgrass Village began in 2013 with the construction of a new 49,500-square foot state of the art Publix and 12,000 square foot CVS. 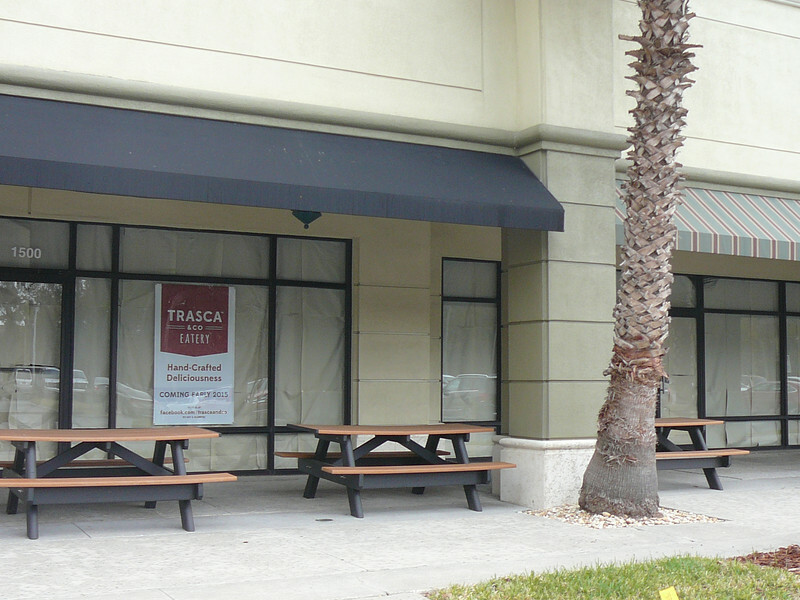 With the new Main Street Shops anticipated to be complete in early 2015, new tenants such as Trasca & Company Eatery, are moving in. Trasca & Co Eatery is expected to be a one-of-a-kind vintage neighborhood eatery, specializing in craft beer, craft coffee and hand-crafted Italian-inspired sandwiches such as the famous Panino. According to their website, invented by Grandma Evey in the 1970's, the Panino starts with their secret family dough recipe, is topped with the highest quality ingredients they can get their hands on, and then baked to melted, golden brown perfection. The locally-owned eatery is expected to open in early 2015 adjacent to the Hilton Garden Inn. Future plans for the redevelopment of Sawgrass Village don't end with Phase I. A second phase would introduce a bit of walkable urban infill in the heart of Ponte Vedra. Once completed, Genesis Real Estate Advisers, LLC expects the center to be a walk-able, vibrant, exciting “people place” that brings a true commercial shopping district to the Ponte Vedra community. Phase II site plans indicate an existing strip of retail shops and a large surface parking lot could be replaced with a central green space, multi-level retail, hotel and office uses. Here's a look at Ponte Vedra's most popular shopping center.